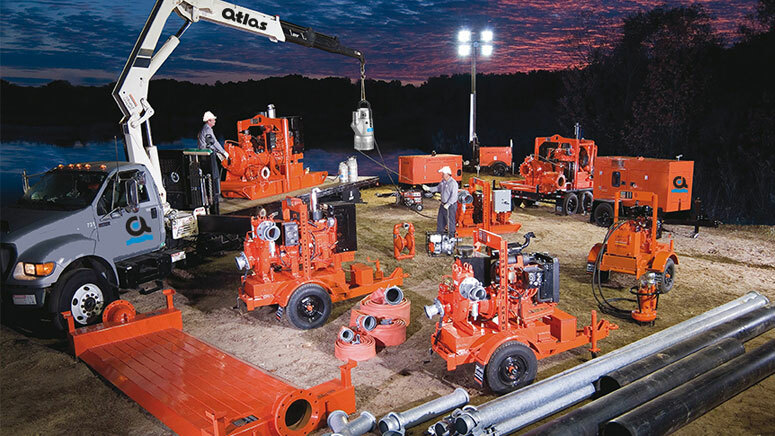 Atlas Dewatering has a dedicated staff of degreed engineers who develop application solutions for all of the market segments we serve. Our engineers analyze project requirements to ensure equipment and cost efficiency. Whether your pumping job requires navigating through heavy traffic conditions or providing temporary fire protection to a refinery, we have the knowledge and experience to help you make the most informed decision for your application. And as always, all products are offered for rental or sale.